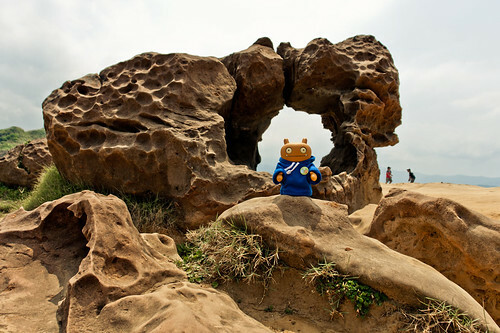 Uglyworld #1601 - Yehliu Geopark (Project TW - Image 189-366), a photo by www.bazpics.com on Flickr. Todays I went and visitereds a super coolers Geopark place in the Taiwanesers city of Yehliu, where there is loads of amazerings naturaler rock phenomenons that drawers crowds of peoplers from alls over Taiwans and from further afields to checkers them all out! I callereds this one holies molies, and don't worries, Baz has loads of photomagraphs of all the other cooler rock formationers that we discovereds today.